The high-speed rail, which has been in use in Japan for decades, would take passengers from downtown Dallas to northwest Houston, with a stop near College Station, in 90 minutes. If all goes as planned, the Japanese bullet train is coming to Texas. The high-speed rail would take passengers from downtown Dallas to northwest Houston, with a stop near College Station, in 90 minutes. WFAA reporter Jason Whitely and photojournalist Taylor Lumsden went to Japan to learn more about the bullet train, which has been in use there for decades, and whether it will be effective in Texas. You can watch their story Monday at 10 p.m. The original bullet train line, the Tokaido Shinkansen, opened in 1964 and runs from the capital city Tokyo to Osaka, a distance of about 340 miles. Stops included, that's a trip of about two and a half hours for about $125. That's the bullet train's top speed. By comparison, the fastest train in the U.S., the Amtrak Acela Express, hits speeds of 150 mph. The original bullet train, the Series 0, hit a speed of about 200 kilometers per hour, or about 125 mph. The speeds gradually increased through the years, reaching the current figure of 177 mph in 2015. 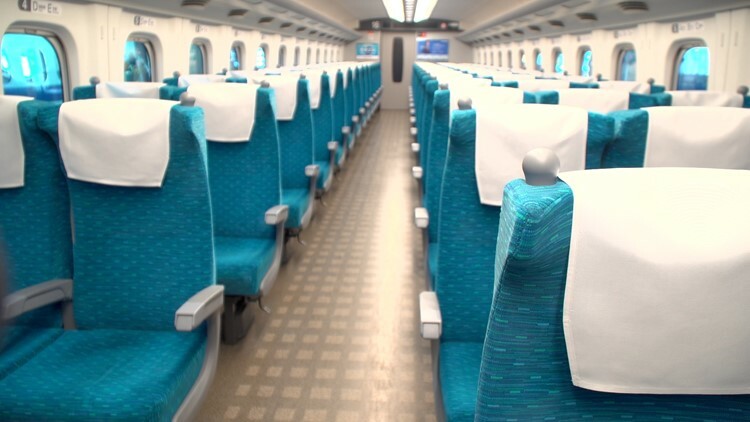 In Japan, ticketing prices vary based on your destination – our crew, for example, paid about $43 for a 60-mile trip. But here's the catch: It doesn't matter if you buy your ticket three months out, or 30 minutes before your train leaves the station. Unlike airline prices, the bullet train fares don't spike for last-minute purchases. Boarding a bullet train is much like boarding a subway, or other forms of rail transportation. No long security lines, no baggage check. Scan your ticket, and you're on board. The bullet train cabins have high ceilings, wide aisles, big windows and...wait for it...plenty of leg room, at least compared to airplanes. Each row has electrical outlets, too, and seats lean back to nearly a 45-degree angle. In first class, the seats are heated and have foot rests. Inside a Japanese bullet train. 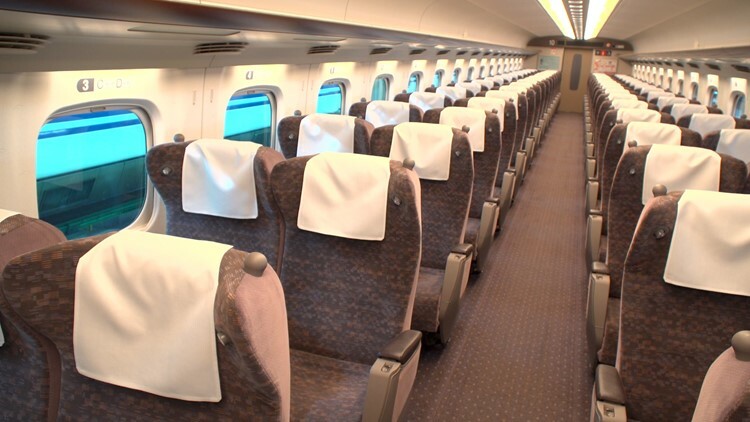 A first-class section of a Japanese bullet train. That's how many passengers the Japanese bullet train sees per day, on average. Most bullet trains are 16 cars long, carrying about 1,300 people. The Texas trains are expected to be eight cars long. 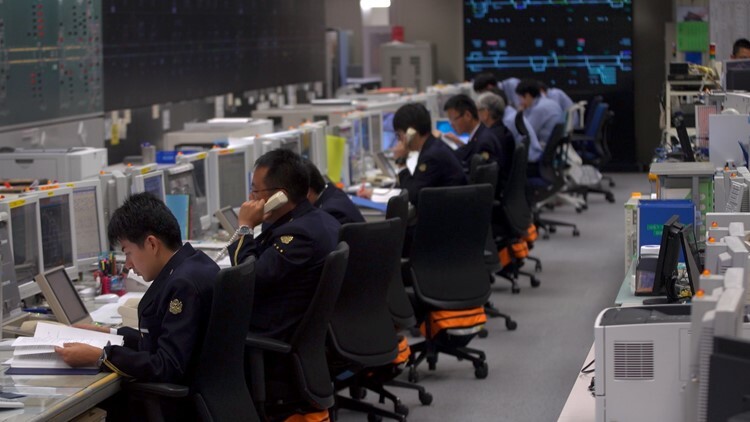 The Japanese trains are monitored out of a mission control-style facility, where 80 workers keep an eye on more than 360 bullet trains, 24 hours per day. Texas train first in U.S.
As mentioned above, the most similar train to the Japanese Shinkansen in the U.S. is the Acela Express. But the U.S. has never imported a bullet train, so the one built in Texas would be the first of its kind. The Texas train, by the way, will be an N700I model – the "I" stands for international. While the bullet train still seems as far away as Japan, the groundbreaking for the Texas line is scheduled to get underway in 2019. Texas Central, the group leading the project, has options to purchase a third of the land needed for the Dallas-to-Houston line.